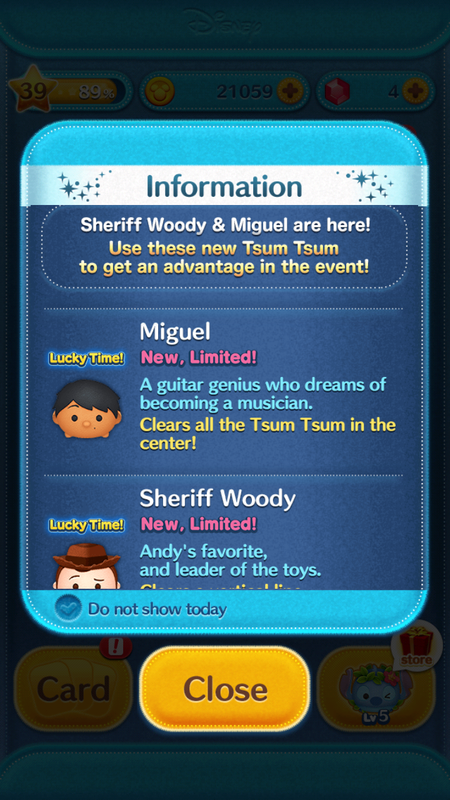 Lucky Time for Sheriff Woody and Miguel in the Disney Tsum Tsum App! Home » News » Lucky Time for Sheriff Woody and Miguel in the Disney Tsum Tsum App! 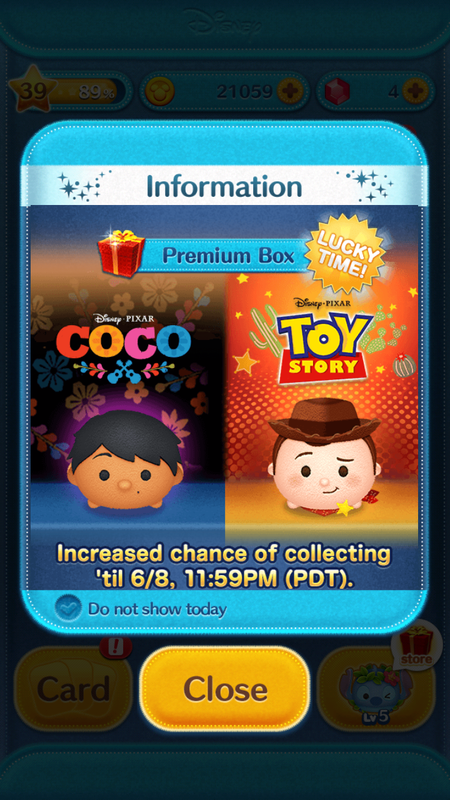 Increased chance of collecting Sheriff Woody and Miguel ’til 6/8, 11:59 PM (PST). 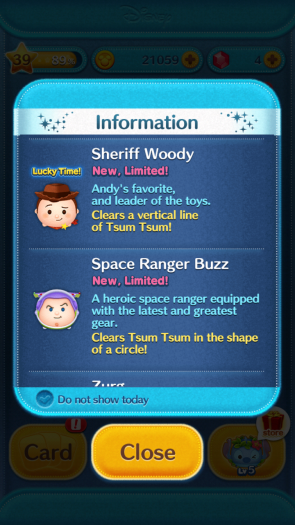 Sheriff Woody and Miguel Tsum Tsum are here! 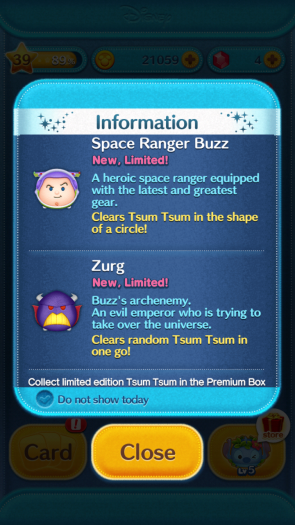 Use these new Tsum Tsum to get an advantage in the event! A guitar genius who dreams of becoming a musician. Clears all the Tsum Tsum in the center! 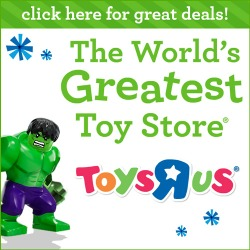 Andy’s favorite and leader of the toys. Clears a vertical line of Tsum Tsum! A heroic space ranger equipped with the latest and greatest gear. Clears Tsum Tsum in the shape of a circle! Buzz’s archenemy. An evil emperor who is trying to take over the universe. Clears random Tsum Tsum in one go! Also, Sticker Book coming soon! 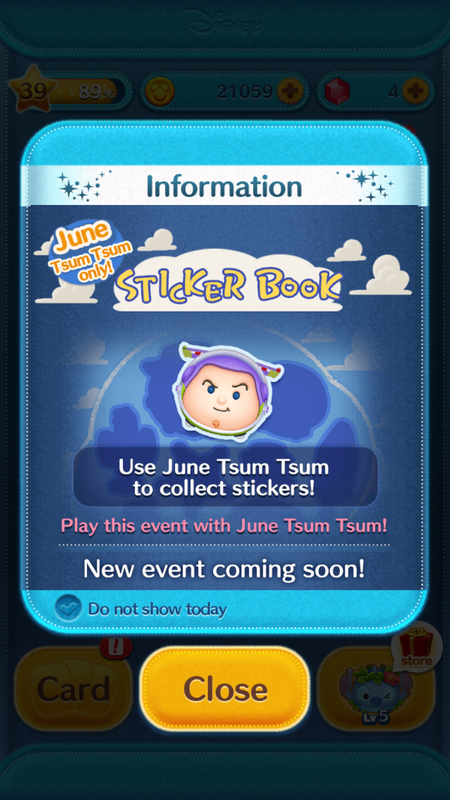 Use June Tsum Tsum to collect stickers! Play this event with June Tsum Tsum. Last Lucky Time for certain Tsum Tsum in the Disney Tsum Tsum Japan App! Disney Store Summer Play Days Tsum Tsum Wristband Giveaway Event Begins Today Toy Story Update and more to the Disney Tsum Tsum Japan App! New Miguel Tsum Tsum from Disney-Pixar’s Coco Now Available Online in the US! Previews of the new Miguel, Mama Imelda and Ernesto Tsum Tsums from the upcoming Coco movie! Last Lucky Time for Disney Villains in the Disney Tsum Tsum App!